It was one of those days when I had a list a mile long to finish up, and I was in “go-mode” trying to check-check-check things off the list. But, I happened to be free at that very second, and I also happened to be very hungry, and I also happened to be long-overdue for a good catch-up with these two. So I closed up my laptop and hopped across the street to this little Mediterranean place to meet them…and I’m so happy I did. Because I forget how much I love taking lunch breaks with friends!!! I know that’s what most of the world does each day with co-workers, and I totally used to be in that rhythm back when I had my office job. But ever since I started been working from home, I’ve gotten in the habit of usually just grazing on a snack lunch while I’m working, and rarely stop to actually eat a meal at the table. But, whenever I slip out with friends and enjoy a legit “break” over the lunch hour, I’m reminded of how nice it is to break up the workday that way. Even if it’s just catching up with friends for 45 minutes over falafel and kabobs and salad before we all hustle back to our jobs, those brief moments to connect are good and energizing for my little heart. Anyway, the random highlight of my lunch that day was actually this killer fattoush salad that came as a side with my entree, which reminded me that it had been forever since I made my own fattoush salad recipe that I really love. So the next day, I whipped up a big batch of it for lunch, and then saved some of the dressing and had it again for dinner. And then I was still craving it later that week, so I decided to re-photograph it for the blog to have an excuse to make it yet again. And I’m tellin’ ya, this salad has a way of getting better and better every time. 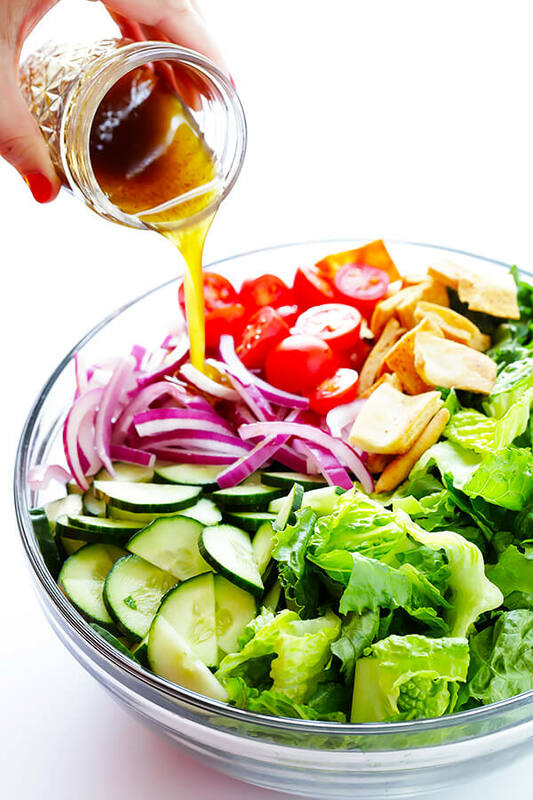 I actually first shared my fattoush salad recipe on the blog way back in 2010 (there’s the photo above!). And today, it’s still one of my all-time faves. 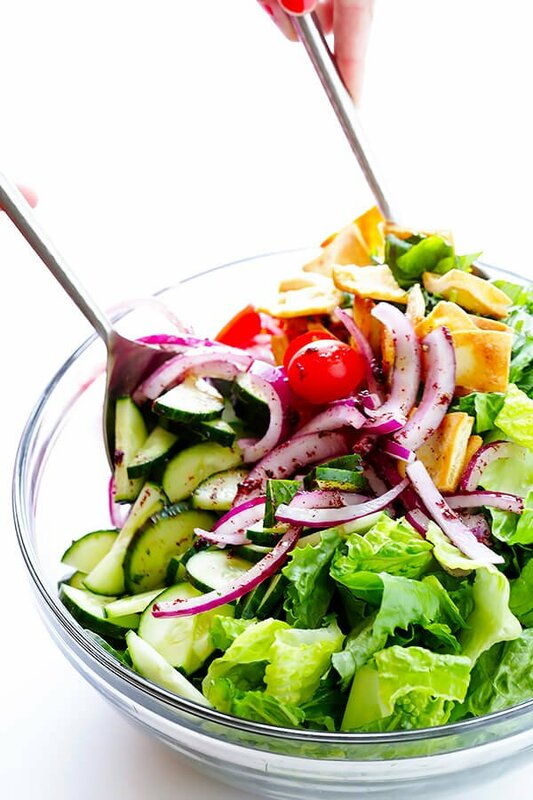 I mean — with tons of fresh greens, juicy tomatoes, crisp red onions, toasted pita bread, crunchy cucumbers, a zesty lemon dressing — who wouldn’t love this classic salad?! 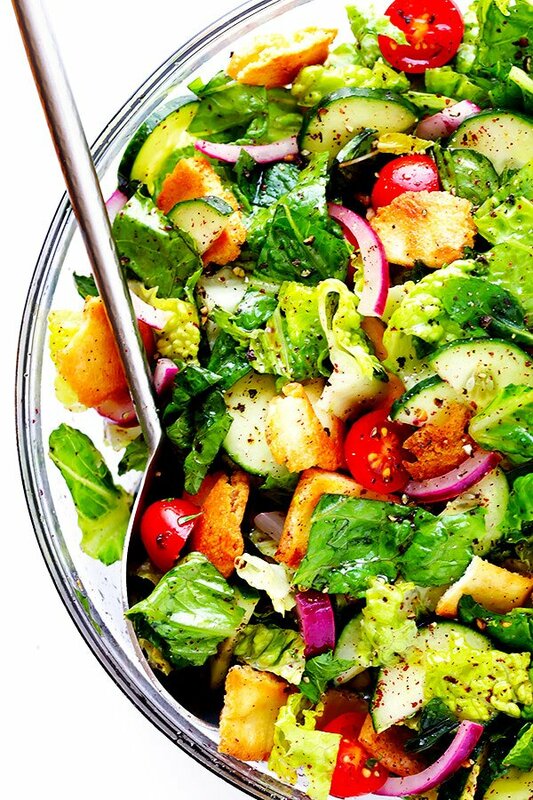 …and in less than 20 minutes, this gorgeous fresh salad will be yours to enjoy. Feel free to toast up your own pita to make those crispy pita chips, or save a step and buy them store-bought. I also like tossing in some sliced radishes and feta to kick up the flavor, but the classic version below is plenty delicious on its own. Add the lettuce, cucumber, pita chips, tomatoes, mint, parsley and green onions together in a large bowl. 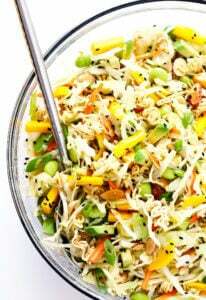 Drizzle with the lemon dressing, and toss until evenly combined. 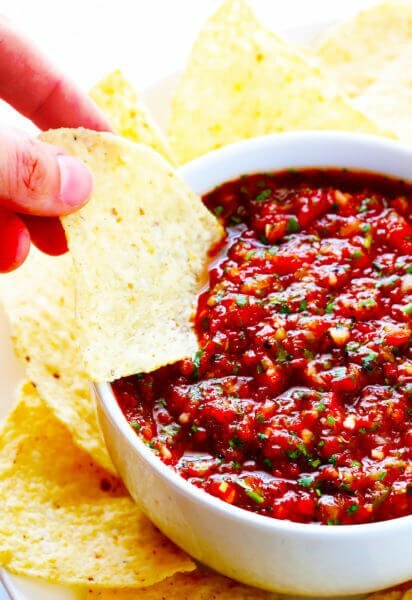 Serve immediately, garnished with an extra sprinkle of ground sumac and some freshly-ground black pepper. 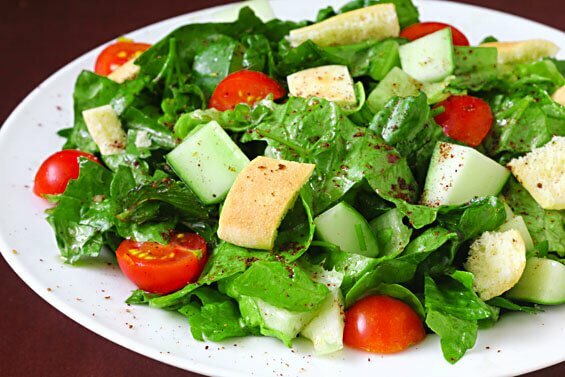 I LOVE fattoush–a while ago I made a slight variation of your recipe, which also looks awesome. 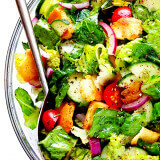 (http://www.thesweetslife.com/2010/05/grilled-fattoush.html) This is seriously the perfect summer salad! i can’t wait to try this! i think tomorrow will be perfect! i can’t wait! I love those big, chunky vegetables and cut-up pita. 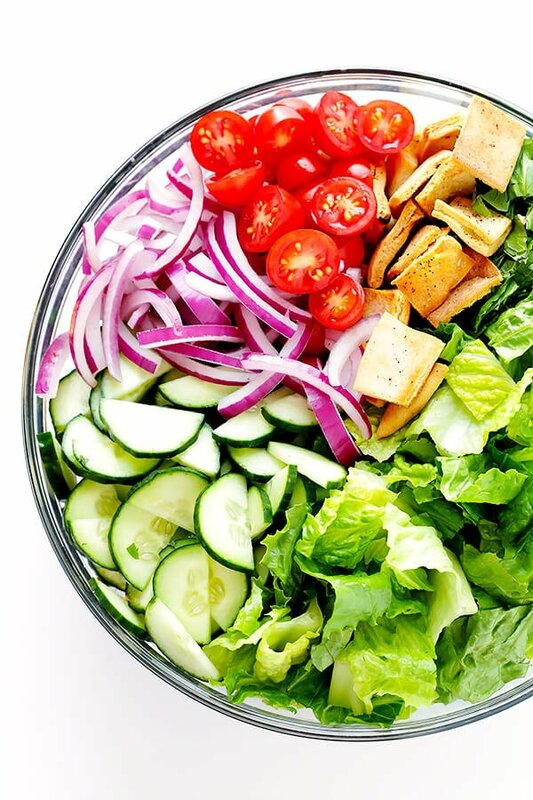 This looks like a delicious salad, even though salad is not among my favorite dishes ;) Thanks for sharing, Ali! 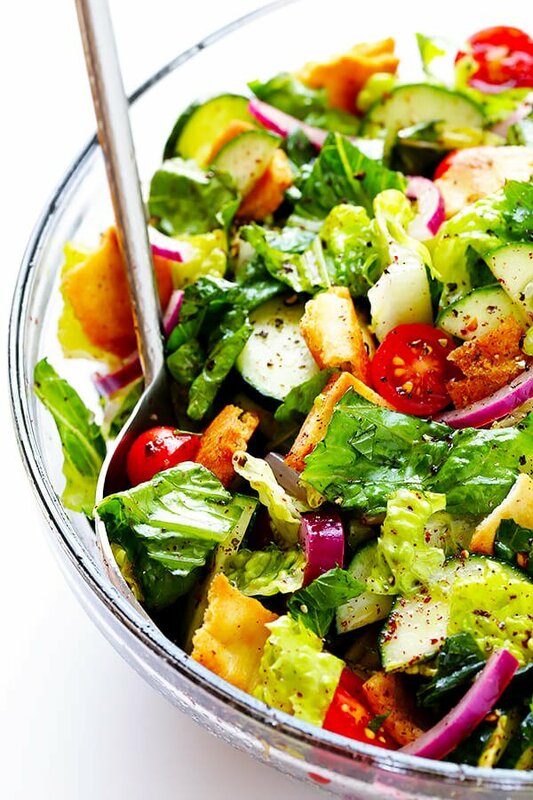 Ali, Your Dad told me today you were in Hyde park at the CIA, and told me about your blog so i checked it out , this salad looks delicious i will have to try it. It looks like you had a great time in Hyde Park, to bad you couldn’t have visited my shop your Mothers designs are a big seller in my shop , only 10 minutes from CIA. I will keeep looking at your blog it is very interesting. I like the intense flavours in the dressing. I completely agree, Natalie! :) Love your post!! Sorry to have missed you while I was in Hyde Park. I absolutely loved the area — what a beautiful place to live!! :) Thanks for tuning into the blog, and if I ever get the chance to return to the CIA, would love to pop in and say hi! Sumac is a traditional spice in this and I think you’d enjoy it, that is if you can find it- damn hard to find sometimes! Hey Sadie, that’s great to know, thank you for sharing! Quick question: I think you recently insta storied about a wine from Costco that you like…what was it?! 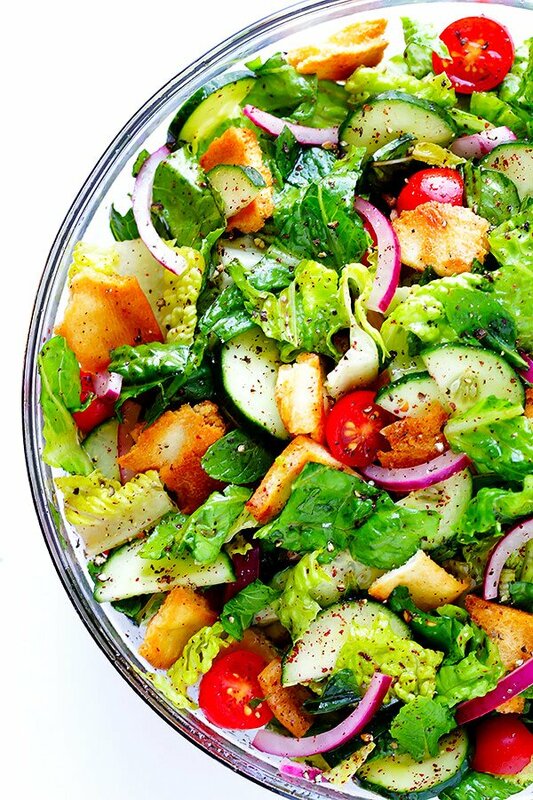 Fattoush is one of my favourite recipes…I tend to even use it as a condiment or top it with chicken! Perfect summer meal! This sounds delicious, Ali! I just ordered ground sumac from Amazon so I can make it. What do you think about adding chickpeas for some protein? Or chicken breast? Thanks Misty — we hope you enjoy this! And we definitely think chickpeas and/or chicken breast would be awesome additions! OMG! Your photography is so splendid, I wanted to dive in and SWIM in that salad!!!! 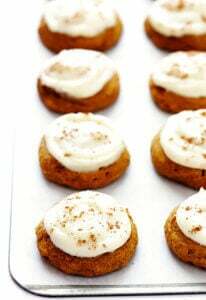 I’ll be making it soon! Thanks for your sweet words, Alice! We hope you love the salad! I work in the KC downtown area, would love to know which Mediterranean place you like down there? We love the little shop Greek Cuisine in Overland Park by JCCC, but I am always on the lookout for additional places. Thanks! A great salad. The dressing is amazing! Thanks for introducing me to ground sumac! Loved the flavor it adds. I did find the sumac at Penzey’s. Love your salad pictures! They make me in the mood for a salad right now ? I’ve actually never had a salad with mint leaves, I’m excited to try it out. Sounds delicious! I make my own dressings too. It’s so simple and so much healthier than store bought. I love the sound of your dressing. Tangy, zesty lemon is one if my favs. I’ve never used sumac. I think I’m just going to have to go to the store this week and pick some up ? I found the dressing to be overly salty.